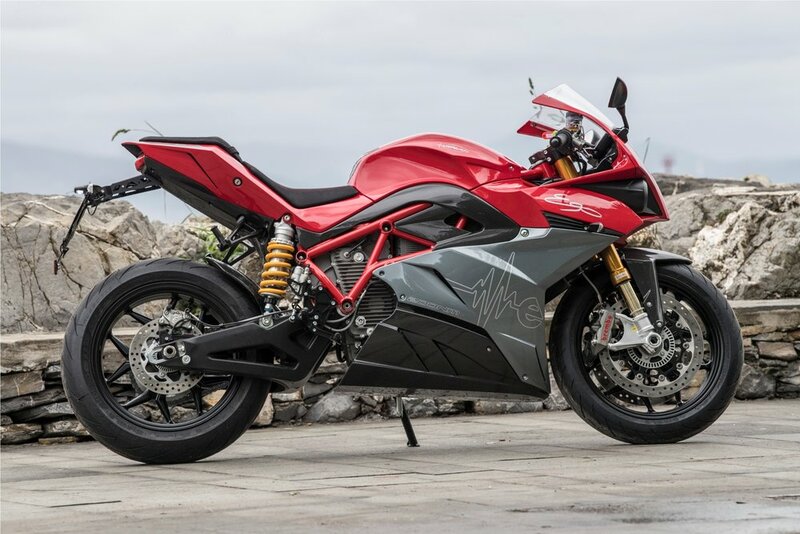 The green heart of the electric motorcycle is a synchronous oil-cooled motor with permanent magnets. It has 107kW (145 hp c.ca) of instantaneous power reaching from 4900 rpm to 10500 rpm and a torque of 144 ft lb ranging from 0 rpm to 4700 rpm. The electric motorcycle Energica Ego is also equipped with a “PARK ASSISTANT” in order to facilitate parking and maneuvers on slopes or into rush traffic. The VCU limits both the speed and the torque of the vehicle. The PARK ASSISTANT works back and forth (reverse mode) with maximum speed 1.74 mph and maximum torque 37 ft lb. 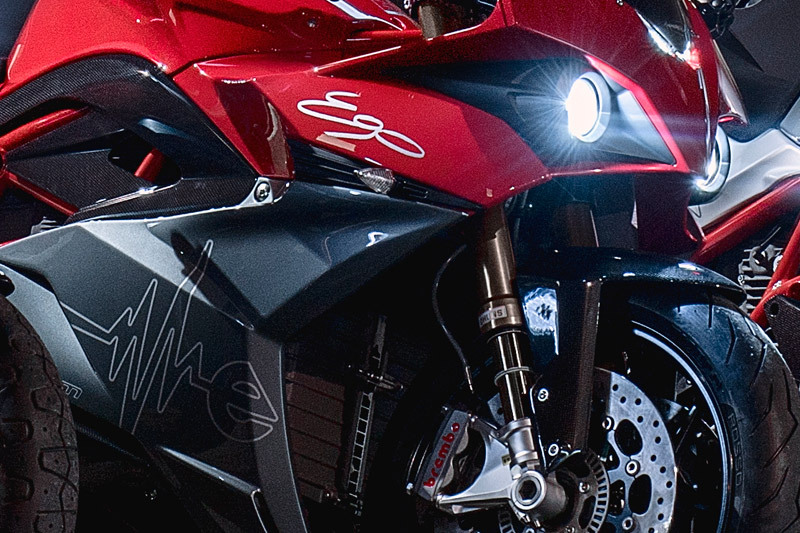 The connectivity for the electric motorcycle is supported by Bluetooth (short range) and UMTS long range technology (in progress), allowing you to connect your vehicle to your smartphone, tablet or simply to your home computer via the Internet. 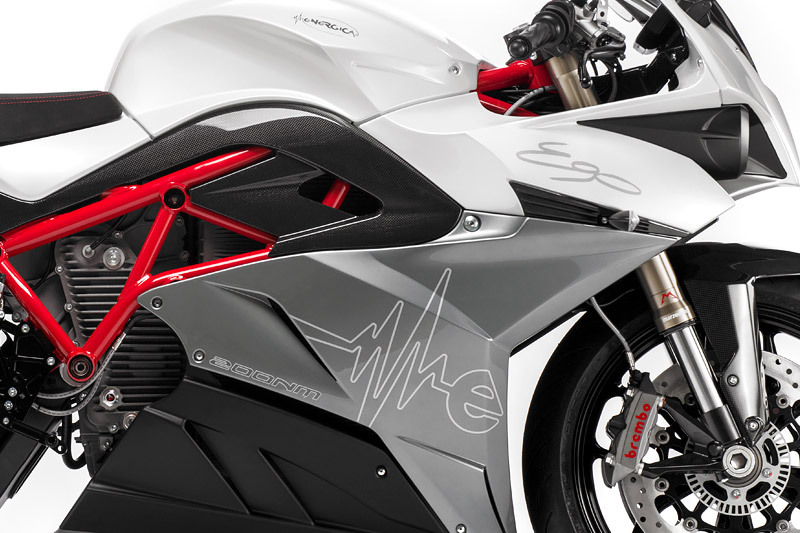 Energica Ego can be recharged through the columns in the outdoor charging stations or at home, equipped with an onboard battery charger with a cable interface on the charging station or remotely via Bluetooth connectivity.